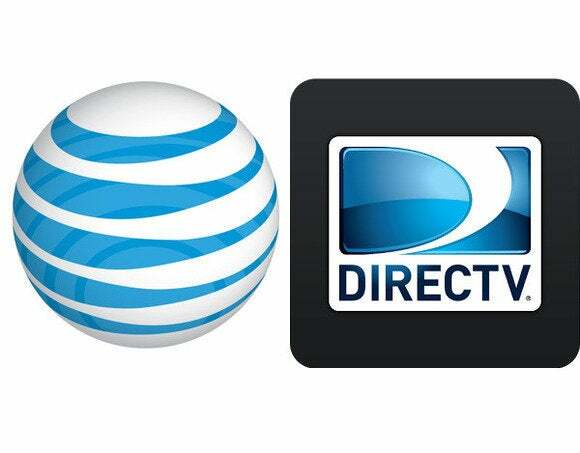 It’s official: AT&T wants to buy DirecTV in a deal valued at around $48.5 billion. And to help the acquisition’s public appeal, the telecommunications giant is offering a number of sweeteners. To top it all off, AT&T promises to respect the Federal Communications Commission’s net neutrality rules that were struck down by a federal court in January. “[The DirecTV acquisition] is designed to ensure that when you look at this transaction that it is very consumer friendly and very much in the public interest,” AT&T CEO Randall Stephenson said during a conference call with analysts on Monday. 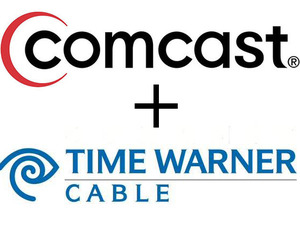 Cable operators typically don’t overlap in coverage areas, Ireland argues, so it’s not like customers would necessarily lose a competing service if Comcast successfully buys Time Warner Cable. Not so for AT&T and DirecTV who do overlap. Digital rights advocacy group Public Knowledge sees a similar problem. “The most obvious concern is that customers in [AT&T] U-Verse territories would lose a video competitor, though the transaction would have nationwide effects,” John Bergmayer, senior staff attorney at Public Knowledge, said in a statement. U-Verse is AT&T’s “triple-play” bundle of services that includes broadband, and Internet-based telephone and television. In a clear nod to public sentiment, AT&T says it will continue to abide by the Federal Communication Commission’s now-defunct net neutrality rules for three years after the deal closes. Those rules restrict Internet Service Providers from slowing down one online service in favor of another, or from blocking other services entirely. AT&T’s agreement to follow the FCC’s old rules are actually nothing new as the company made a similar pledge earlier in February. So the commitment under the DirecTV deal is a more formal acknowledgment of an earlier promise, suggesting AT&T won’t, for example, pursue an interconnection deal with Netflix the way Comcast and Verizon have. These locations would be mostly outside of AT&T’s current broadband coverage areas and in largely rural locations. The project would be completed within four years after the DirecTV deal closes and would bring AT&T’s total reach to 70 million customer locations nationwide. This appears to be an appeal to one of the FCC’s big goals over the past few years: bringing broadband to more locations in the U.S., especially rural ones. But when it comes to broadband promises, it’s all about the details. AT&T says it will fulfill its broadband commitment using a mixture of technologies including fiber to the premises and fixed wireless local loop connections. Whether that turns out to be a good deal for customers really depends on what AT&T envisions for new fixed wireless connections, according to Griffin. She points to issues such as wireless bandwidth constraints and the tendency for wireless services to have stricter data caps as potential pitfalls to AT&T’s promised buildout. For three years after the deal closes, AT&T promises that it will continue to offer a stand-alone broadband service with speeds of 6 megabits per second (where possible) in areas where broadband service is already available. That suggests the new 15 million locations may not have access to this stand-alone service from AT&T, but that’s not yet clear. AT&T did not respond to a request for clarification. So you’ll pay more no matter what. But at least there could be opportunities for attractive service bundles combining AT&T’s various services with DirecTV’s content. The crown jewel of DirecTV’s offerings is its exclusive deal with the National Football League. NFL Sunday Ticket lets DirecTV subscribers view all out-of-market football games for $240 per season. Bump that up to $330 and DirecTV subscribers can also stream those games on their PCs and mobile devices. But DirecTV’s pact with the NFL expires at the end of the 2014 football season, and the pressure is on to make sure Sunday Ticket stays with the company. In fact, Sunday Ticket is such a high value service that AT&T made sure it could cancel its DirecTV acquisition if the NFL deal isn’t renewed later this year, according to a government filing. Who knows? Maybe one day you’ll be able to buy Sunday Ticket as a complement to your new AT&T-flavored iPad with wireless broadband. But you can bet on paying more for the privilege. The potential AT&T-DirecTV deal makes some big promises about how the merger would benefit consumers. But with rising prices a seemingly foregone conclusion, potentially toothless net neutrality commitments, and an unclear broadband expansion, it’s far from certain that this deal will turn out to be a good thing for anyone beyond shareholders of the two companies.